To make matters worse I made carrot soup with carrots I got from the bountiful basket. While the soup was delicious, as I went for a second helping a bubble of the liquid spit up at me and landed on my arm. It was very hot and it blistered my skin almost immediately. Ouch! It really hurts. I have been applying hydrogen peroxide and gauze bandages so that it doesn’t get infected but its still very sore and tender. 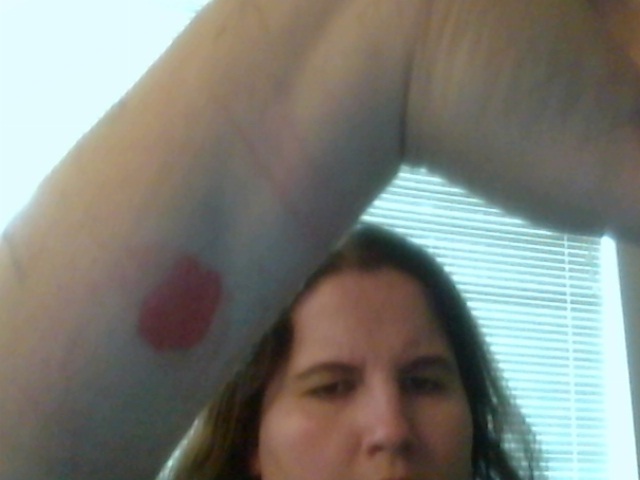 It got wet when I was in the shower this morning and it stung like crazy (even worse than the hydrogen peroxide.). I think I better wait a while before introducing it to chlorine and definitely salt water!